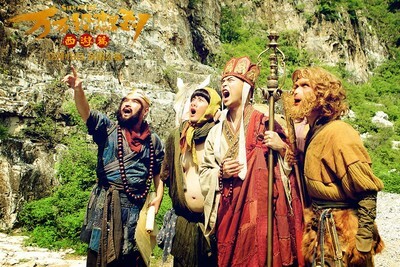 China's low-budget comedy Surprise (万万没想到) grossed est. 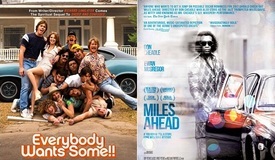 $17.5 million from Saturday and Sunday preview screenings ahead of its formal release next Friday, December 18. Lionsgate's The Hunger Games: Mockingjay - Part 2 earned est. 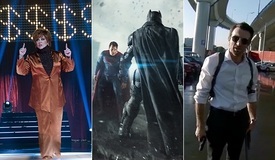 $15.4 million overseas this weekend, lifting the cume to $320.1 million at the international box office. 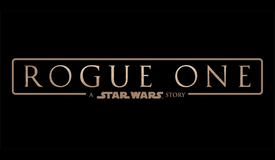 The final installment in the series has generated $564.6 million worldwide through one month of release. Disney Pixar's The Good Dinosaur posted $14.3 million in its third weekend of overseas release from 47 territories representing approximately 61% of the international marketplace. Top performing territories are UK/Ireland ($10.1M), Mexico ($8.7M), France ($8.1M), Spain ($6.0M), Italy ($5.4M), Argentina ($5.0M), Russia ($4.4M), and Germany ($3.5M). Overseas The Good Dinosaur has grossed $78.2 million and $167.8 million worldwide. Spectre delivered an addition $12.9 million from 5,282 screens in 94 total overseas markets this weekend, lifting the international total to $629.8 million and the worldwide total to $820.6 million. 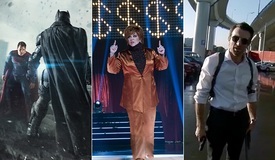 Bond was the #1 film in Japan for the second weekend in a row, down just 22% to gross $2.3 million from 588 screens. The market cume has climbed to $12.5 million there. Other top markets for Spectre include UK/Ireland ($141.8M), China ($84.7M), Germany ($63.9M), France ($34.7M), Australia ($22.7M), Netherlands ($18.1M), Italy ($13.7M), Russia ($13.3M), Denmark ($13.2M), and South Korea ($12.3M). In the Heart of the Sea netted $12.6 million in 52 overseas markets, lifting the soft international cume to $39.4 million. Combined with NA's disappointing debut, Ron Howard's drama has scored just $50.4 million worldwide. Top market cumes include South Korea ($1.9M/$5.3M cume), Russia ($1.35M/$3.9M cume), Mexico ($1.1M/$3.8M cume), Italy ($1.1M/$3.96M cume), and Brazil ($0.89M/$2.8M cume). Point Break surfed to an additional $12.3 million from 8 Asian markets this weekend, launching the international cume $34.5 million after two weekends of release. China ($30.3M cume) dropped just 14% this weekend to gross $10.2 million. The Martian brought home an addition $8.1 million in 10 markets this weekend including $7.7 million from China, increasing its market cume there to $86.8 million. The Martian has secured $366.3 million overseas and $589.1 million worldwide. Bridge of Spies found another $6.7 million in 46 markets, bringing the international cume to $53.2 million and the global tally to $122.7 million. Strong holdovers include Span ($1.3M/4.7M cume), UK/Ireland ($1.2M/$8.3M cume), and France ($1.1M/$3.1M cume). Italy opens next weekend. Krampus scared up $3.6 million in 38 territories for an international total of $8.8 million and a worldwide total of $37.0 million. Venezuela was the top opener with $0.75 million and Mexico debuted with $0.27 million. Next weekend, Krampus opens in Belgium, Estonia, Lithuania and Vietnam. The Peanuts Movie delivered $2.7 million in 15 overseas markets. Japan ($3.2M cume) dropped just 22% from last weekend's debut to gross $0.99M. Charlie Brown and the gang have earned $16.6 million overseas and $141.6 million globally. Thirty-six new markets open in two weeks including Belgium, France, Germany, Russia, South Korea, Taiwan, Mexico, Spain, and Sweden. Victor Frankenstein resurrected $2.7 million in 30 markets this weekend, bringing the international cume to $24.8 million and the worldwide total to a disappointing $30.4 million. Hotel Transylvania earned $2.2 million in 66 markets. Australia fell just 1% in its third weekend of release to gross $1.1 million. The local total there is $4.7 million. 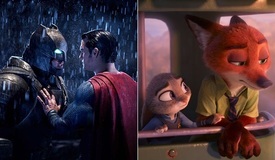 The animated sequel has grossed $277.9 million overseas and $445.3 million worldwide.